This is a delicious cake; the nutmeg adds a really nice flavor note. 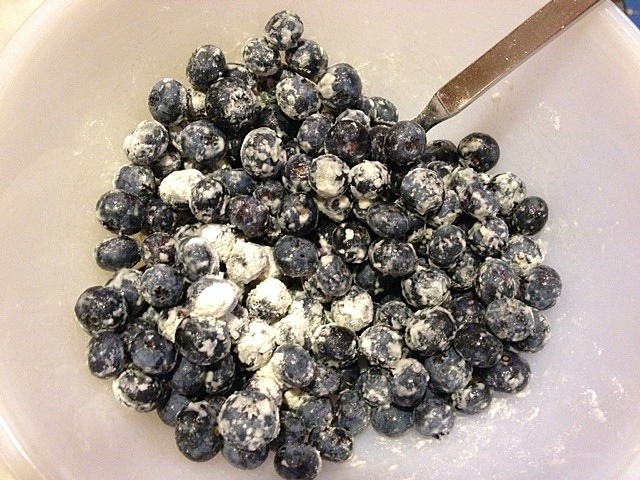 Although the recipe doesn't say to, it's best to coat the berries in a small amount of flour to prevent them from sinking to the bottom. Alternate adding the dry ingredients and flour to the butter-sugar mixture. 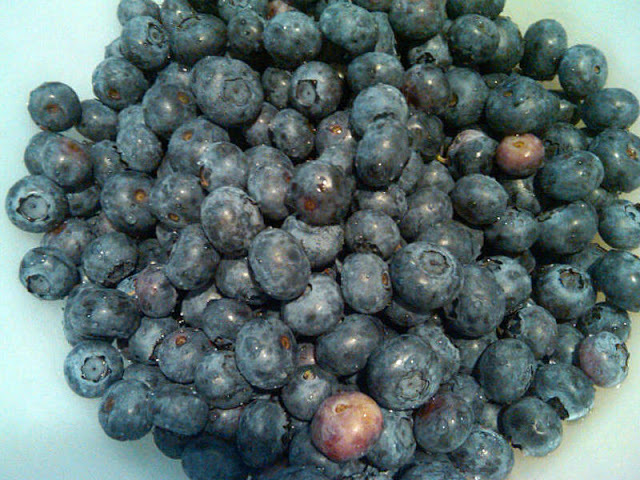 Carefully fold in the blueberries at the end. 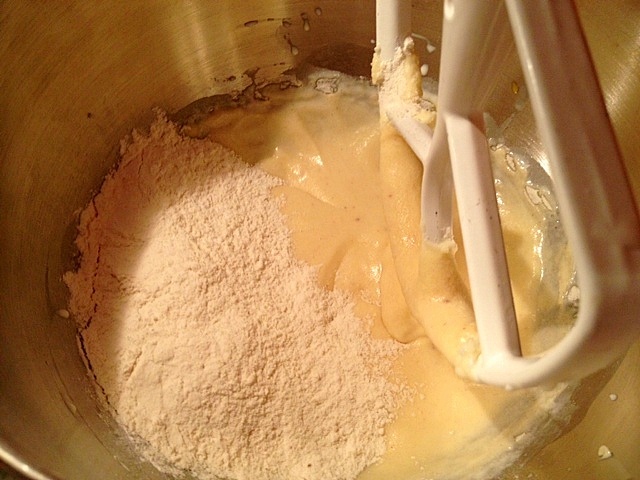 The batter is quite thick; you'll need to use the back of a spoon or offset spatula to spread it in the pan. If you flour and grease the pan, the cake releases beautifully. 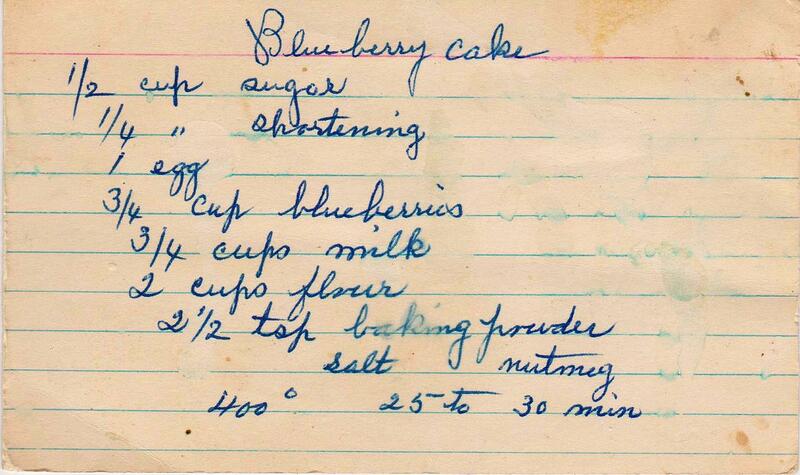 Like many of the recipe cards in my collection, this is little more than a list of ingredients. The method I used is below. Grease and flour an 8-inch pan. 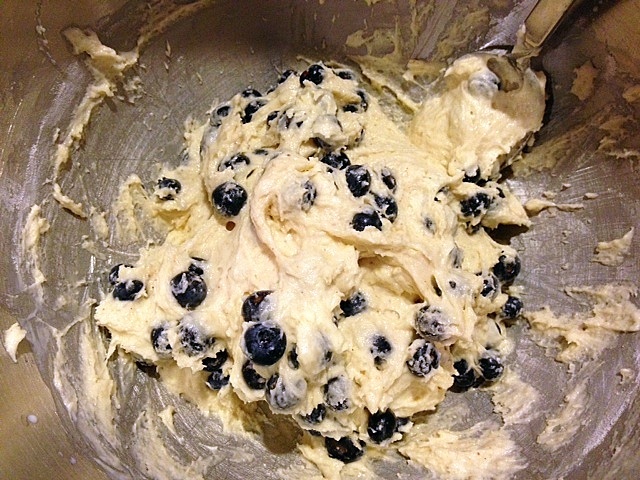 Mix 1/4 cup (1/2 stick) room temperature unsalted butter with 1/2 cup sugar until light and fluffy. Add one egg and combine well. Combine 2 cups flour, 2 1/2 teaspoons baking powder, 1/2 teaspoon salt and 1/2 teaspoon ground nutmeg in a bowl. Add the dry mixture and 3/4 cups milk, alternately to the butter-sugar mixture, beginning and ending with the dry ingredients. Pour into pan, and spread to the edges. 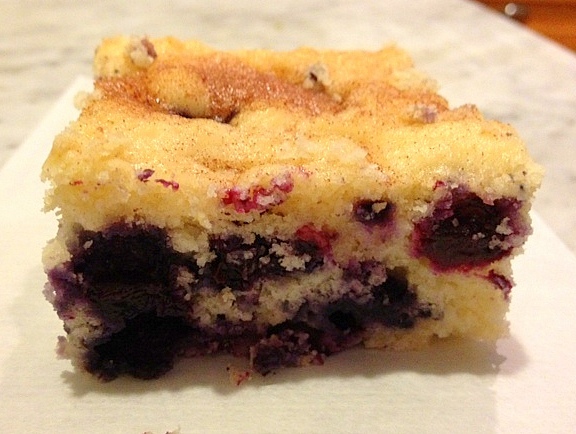 Bake until a cake tester comes out clean. Espectacular muy delicioso y bonito adoro los arándanos.abrazos. 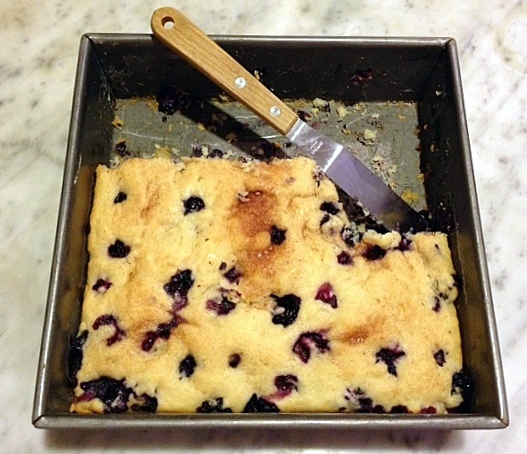 Lovely recipe and a lovely blog. 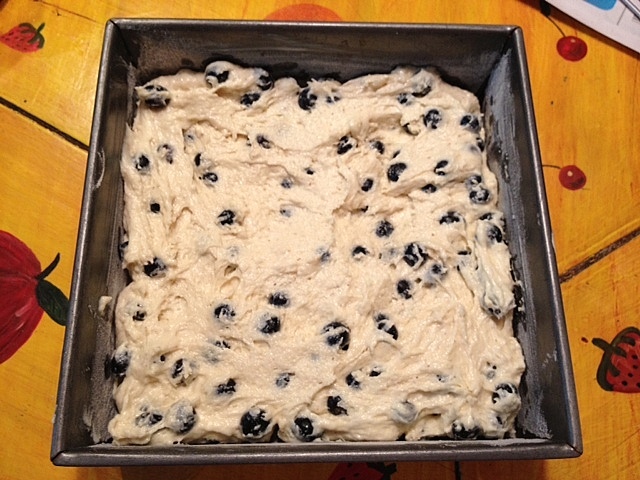 I always get annoyed when I see baking blogs that say to use package mix for various things. Glad to see baking bloggers bringing it back to basics.